As a young manager cutting his teeth in the game, Frank Lampard is doing a fine job and all the studying, learning and research he will have done on the industry, the job role and his new club Derby County, won’t have ever readied him for the spying ‘scandal’ he’s been caught up in. To have handled himself in the impeccable way he always has will be second nature to him by now, but to have the ability and qualities as a person so early in his managerial career, in order to prepare a team to win a football match and an FA Cup 3rd round replay against Premier League opposition at that, is an unbelievable show of steeliness, that marks him out as the first Sports 360 Supremo of 2019. Every question being asked of Frank Lampard the manager is being answered in the same way he dealt with obstacles as a player. As a youngster coming through the famed academy at West Ham, he was following in some giant footsteps that have made their mark on the world game and was surrounded by peers that would go on to play at the very highest level as well. If that wasn’t hard enough company to ‘live’ in, having your selection questioned because your Dad’s the coach and your Uncle’s the manager, put huge pressure on the talented youngster. On top of this, he was regularly taunted about his physique from the stands (even the home ones) but the laser like focus we saw in abundance as a seasoned pro with Chelsea and England was obviously there as a youngster and all Frank Lampard Jnr did, was block out the noise and focus on what he wanted to achieve in the game. Making his West Ham debut on 31st January 1996, as a sub for John Moncur against Coventry could’ve been the start of a great year for the aspiring midfielder but only one more sub appearance that season left the youngster desperate for more. The following season saw Lampard make his first start for the Hammers, away to Arsenal on 17th August 1996, but his first full season was ended prematurely in March 1997 by a broken leg against Aston Villa. It was far from an easy start in the game, but every wall that was put in front of him, he ran through! He was soon an ever present in the West Ham line-up and an £11 million move to Chelsea materialised in the summer of 2001, where the career of Frank Lampard absolutely took off. His time at Chelsea saw him gather a raft of team and personal honours and it was here that he broke into the England set up and soon became an integral part of the team. Two quarter-final, penalty shoot-out defeats suggest that the much-maligned central midfield partnership between Lampard and Gerrard wasn’t quite as bad as history will have us believe but although International honours eluded the young Londoner, goals certainly didn’t. Lampard found the net 29 times in his Three Lions career and even captained the side on occasions, which isn’t bad for an ‘unfit’ lad who only got picked because his family ran the team at West Ham. 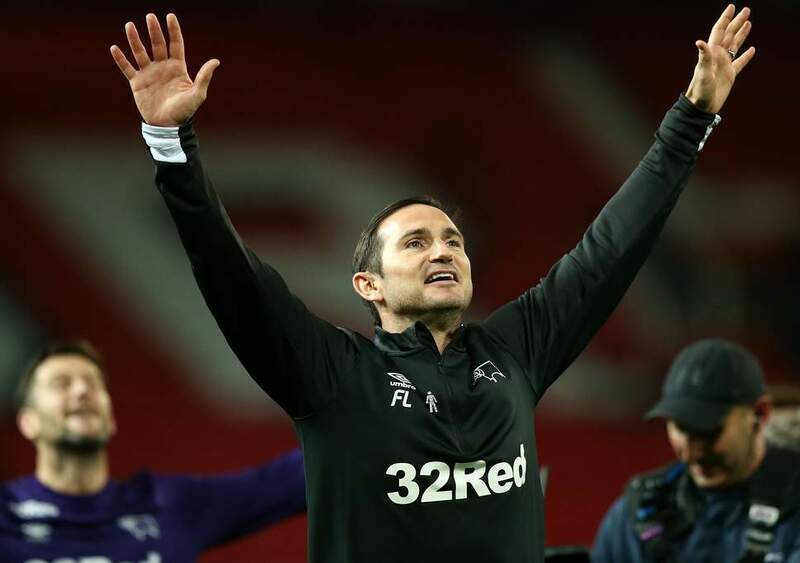 It’s been a tough week in management for the young Derby gaffer, but nothing he hasn’t faced before as a young pro, making his way in the game and while Marcelo Bielsa has dominated the back pages and news channels, we may well have missed something even more significant……. There might just be a world class manager ‘hiding in the bushes’ as well.